Everyone knows what are the conditions necessary for a fire to occur but not all are aware of the speed at which it can spread. As has been said the fire can spread very quickly but it is also true that much of the fires are initiated through extensive phases of latent fire. In these cases, highly sensitive smoke detection ensures a rapid response and as a consequence greater chances of success. This video shows the progression of a home fire in real time and demonstrates the dramatic difference a right fire protection system can make. 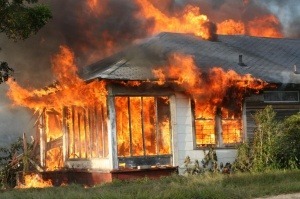 You can see how fast the fire spread of the average room contents fire in a house.